Welcome to Greater St. Luke Baptist Church. We thank you for taking an interest in our ministry. Regardless of whether you are just starting your spiritual journey or you have followed this path for quite some time, we embrace your decision. 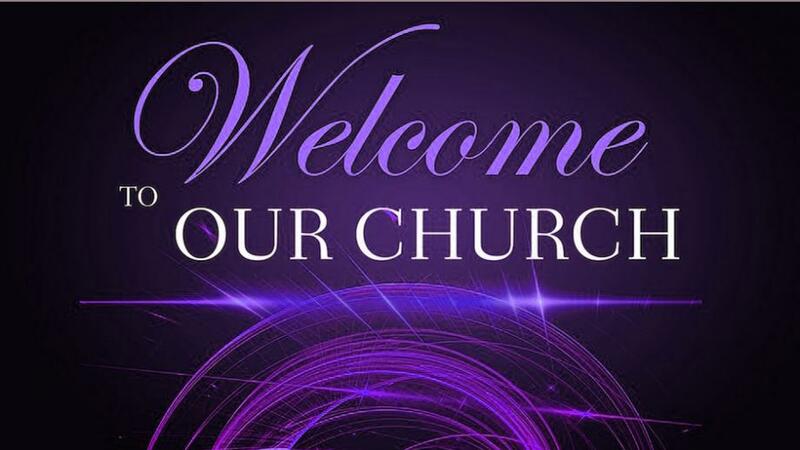 We invite you to visit our church in person and experience the joy of Jesus Christ. There is a ministry involvement awaiting each and everyone at Greater St. Luke. It takes all of us to help spread God's Plan of Salvation. It takes a spiritual-based atmosphere and the spirutual gifts of many to raise one Christian. That is why we value your joining us in the building of a strong church-based relationship. May God bless you. We look forward to having you in our presence. Our Sunday worship celebration takes place at 10 a.m.
You're invited to join our Sunday school that begins at 8:30 a.m.
During the Month of August, our Sunday schedule will remain. However, our Wednesday Bible Study and Youth Ministry are on hiatus. Greater St. Luke offers a very active variety of ministries that enable our members to get involved while strengthening their faith and reliance on God. You're invited to visit our ministry page to view the various ministry opportunities available to you and your family. We offer membership orientation for adults, teens, and children who are new members. Once that class has been completed, members are encouraged to take an active part in the ministry or ministries of their choice. How can I rent space at the church for an event? In order to rent space at our church facility, you must submit a completed request form which is available in the Public Relations/Media/Techology office. Once your completed form has been returned to the church, your request will be given careful consideration. As we are a faith-based ministry, not all requests will be honored if such requests appear to not meet the church's criteria. If submitted requests are for a date and time whereas there is a scheduled church event, said request will not be honored. I want change in my life. I want to turn my life around. How can I do that? Recognize and acknowledge your sins: This is the first great step towards becoming a Christian. When one recognizes that that the things that they have done are not pleasing in the sight of God, they are recognizing sin. Once sin is recognized, it becomes apparent that sin is not Godly thus disobedience to to God. Repent for your sins: Once you have acknowedged that you have sinned, it's time to make all efforts to not repeat your old actions. It's time to put away those old habits of sin and adopt a path of living so as to not continue to do those things that you know are not pleasing to God thus doing hard to others as well as yourself. When you do this, you are repenting by turning away from sin so that you may live the way God has ordained for us to live. What a joy to know your life has changed because of your decision to become a part of the Christian faith. We will not tell you that it's going to be easy because it won't. But this is where you build faith--faith in God to give your strength to fight the urge to go back to your old ways. Accept Jesus Christ, the Son of God, as your Lord and Savior: Jesus was born into this world, suffered the harshness of man, and died upon the cross. He did all this so that our lives would change. He sacrificed His Life so that we might have a chance for salvation. He dies upon that Old Rugged Cross for the forgiveness of our sins. When you believe in Jesus Christ and believe that His Purpose on this earth was to give us a chance at a better way of living, you've made that all important move towards becoming a Christian. But it doesn't stop there. Your life change can become a living testimony for others. Through the sharing of your life change through witnessing to others, you now become an instrument through which God uses you to bring others to Christ. Get involved in a faith-based ministry: We encourage you to become involved in a faith-based ministry where you are surrounded by praying, loving, believing, God-fearing, people. We invite you to begin your faith walk by joing us on Wednesdays at Bible Study and share in God teaching. When you join a faith-based community, you become a part of a church that will embrace you, be patient with you, won't judge your, and will encourage you as you strengthen your faith.